Retro Marvel Films- Before The MCU - NewRetroWave - Stay Retro! | Live The 80's Dream! 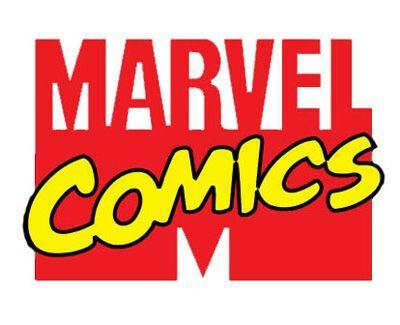 There’s a misconception among many modern Marvel fans that the comic book company’s life on the big screen began with 1998’s Blade. Others may consider 2000’s X-Men to have been the true beginning, as it was the first of many Marvel-based 20th Century Fox films to come. And still others might only count so-called “MCU” films produced by Marvel Studios, which began in 2008 with Iron Man and The Incredible Hulk. All of these films make sense as starting points for their own reasons, but the truth is Marvel got started on film a little more than 50 years before Blade. That’s right: there was a serial film called Captain America released in 1944 (and you’d better believe you can watch it on YouTube). It’s kind of fascinating, though a 1944 film predates what we’d typically refer to as “retro” by about 30 years. Fortunately, there’s a sweet spot in between the very first Captain America film and the modern frenzy of superhero films. Many don’t realize that there were actually four Marvel movies made from 1986 to 1994. Here’s a look back at each one. Howard the Duck is among the most ridiculous Marvel comic characters ever created, and that’s saying something. He’s essentially a large duck with human-level intelligence, super strength, and expertise in “quack-fu” who’s known as a grumpy and satirical character. And strangely enough, he may actually have a place in the MCU. Howard the Duck appeared in the end credits scene after Guardians Of The Galaxy, and he was even involved in the Civil War comics that Marvel’s adapting into Captain America: Civil War this May. 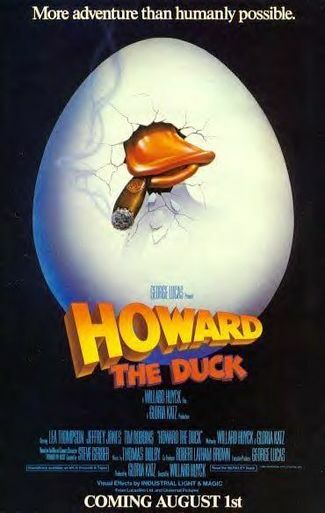 But the 1986 film was just about Howard. Co-produced by Universal Studios and George Lucas (yes, the George Lucas), the film was about a citizen of “Duckworld” (like Earth, but with Ducks) being accidentally transported to Earth, where he quickly becomes a kind of ornery guardian to a woman named Beverly. 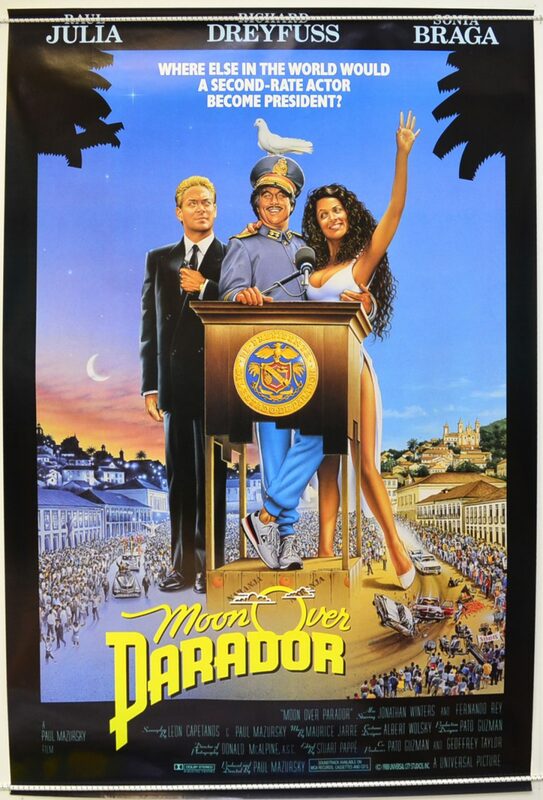 That’s about all there is to it (other than the fact that Tim Robbins had a supporting role), and the film was pretty much a disaster. 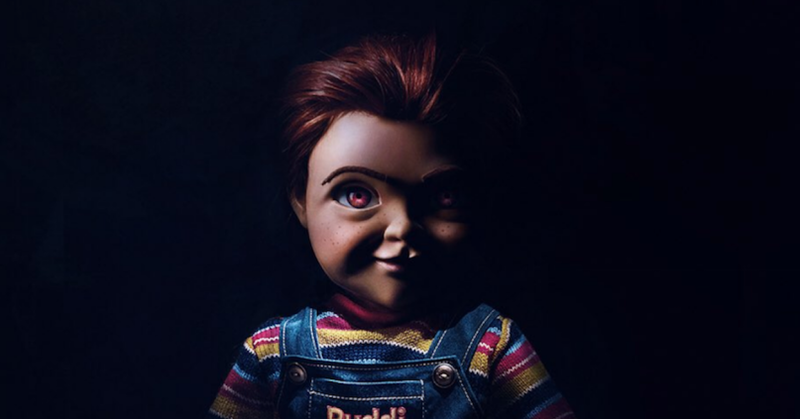 In fact, according to an old LA Times article, there was even a rumor that two studio executives came to blows over finger-pointing about who green-lit the project, which earned only $1 million more than its $35 million production budget. The Punisher may just be the hottest character in Marvel right now following Jon Bernthal’s portrayal of the character in the recently released second season of Netflix’s Daredevil show. 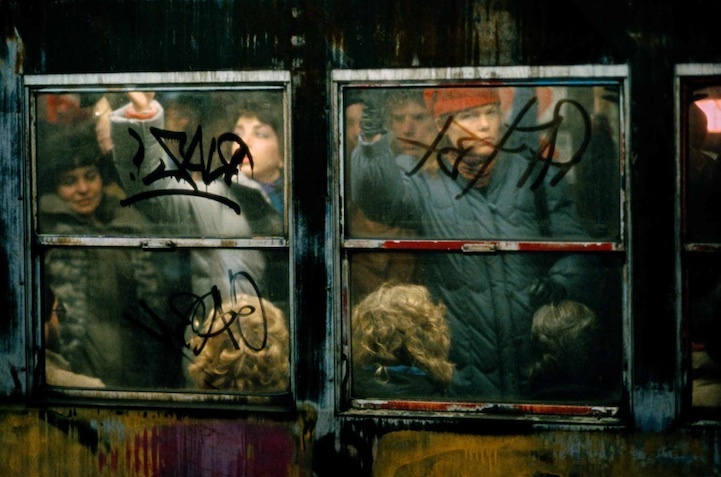 Reviewing the season, Gizmodo claimed it was finally the adaptation that the character deserved, implying that a number of previous efforts fell short. 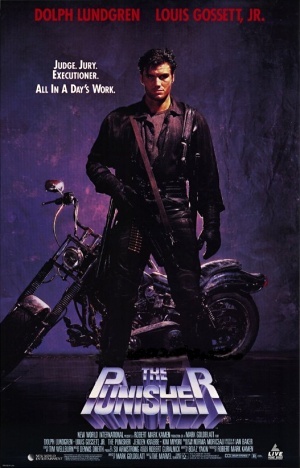 1989’s The Punisher, produced by Live Entertainment, was the first of those efforts, and one that went straight-to-VHS in the U.S. It had a few fun things going for it: namely, the casting of Dolph Lundgren as Frank Castle (aka Punisher), and an endless stream of high-octane action sequences. To an extent, that’s what fans of this character want. The Punisher is an uncompromising and morally questionable vigilante, and in this film we basically got to see him take down as many mobsters as he could find in 79 minutes. The issue for critics was that it was a little too barebones. Light on plot and lacking even The Punisher’s signature skull logo (Lundgren pretty much wears plain dark clothes), it did feel a little lazy—but not without its fun moments. Needless to say, Captain America has become one of the central characters of the modern Marvel universe. And while it looks like more of an ensemble project, this spring’s Captain America: Civil War will technically be part of the character’s current, ongoing series. What’s interesting about that series is that it’s done a pretty good job of displaying most of the classic Captain America visuals and storylines we’ve seen for nearly a century’s worth of comics now, as well as in previous films. The 1990 film played a role in establishing that flavor, so to speak, for a Captain America film, which isn’t to say it was any good. In fact, this movie probably got more criticism than any other project on this list. 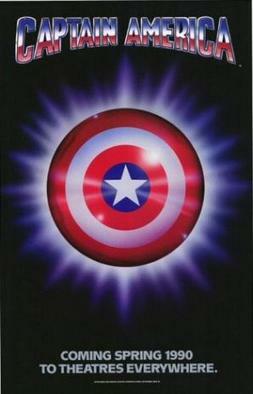 Still, fans of the modern movies who go back and watch this one might be surprised at the basic core of the story (Steve Rogers becomes a super soldier during World War II, battles Red Skull, and end up frozen in ice), as well as the general image of the character, and how much both resemble today’s Captain America. Another fun fact about this one: the lead actor who played Rogers, Matt Salinger, is the son of famous author J.D. Salinger (who wrote The Catcher in the Rye). 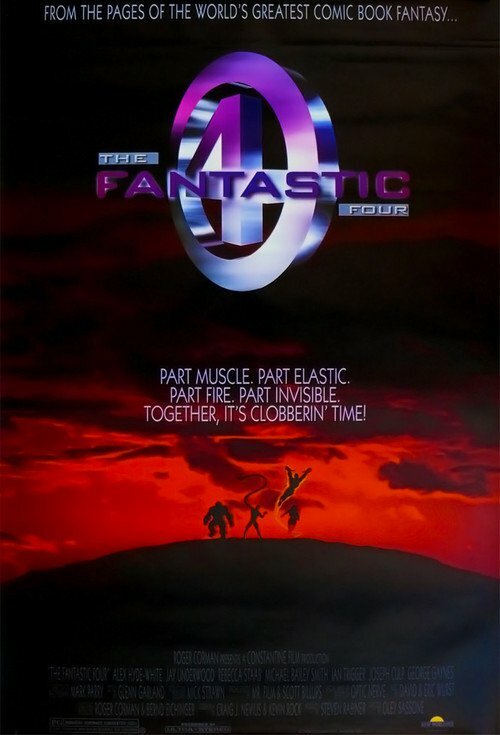 The most interesting thing about the 1994 version of The Fantastic Four, which was produced by Constantin Film Production but ultimately went unreleased, may actually be the characters’ uniforms. Modern Marvel has gone with a darker take on the costuming, with the 2005’s film black-and-blue version serving as the new standard. Gala Bingo features a Fantastic Four casino game that still shows off this uniform from the 2005 film despite the fact there’s since been another reboot. Indeed, as a slot reel rather than action video game, the focus is almost entirely on the image of characters, furthering the black-and-blue approach. Meanwhile, the 2015 reboot went with a nearly all-black approach. However, in 1994 we got a delightfully campy blue-and-white version that does have a place in some of the old Fantastic Four comics. The suits lend a comedic factor to a movie that really needed one to survive. Saying it survived may be a stretch, but there are some good things to be said about this film. For a B-movie operating with a virtually non-existent budget, it took itself lightly and told a faithful story of the superheroes’ first battle with Dr. Doom. So there you have them! The four films that bridged the gap between 1944’s Captain America and 1999’s Blade. This is the retro chapter of Marvel, and while there’s not a success among these four films, there’s a lot of fun to be had in going back and checking them out for real Marvel fan—or for those who like to chuckle at old, campy projects.